I signed up for this for the simple reason that its SHIV KHERA. I was not disappointed with the book, has a lot of things on the ethics and moral side of it which are given a go by in todays corporate world. The book is a very lucid in the sense making the subject easy. Not many jargons. Author given his extensive training experience quotes from his seminars and makes us relate to the messages he has, in his inimitable style. To be honest his approach on the ethical and moral issues deserves praise simply because he has taken it to the logical end in terms of the context and more so he believes real issues are taken up. The base premise is of living by design and not by default. I think we get into the default mode the moment we get into a comfort zone. Perhaps that is why we need to remind ourselves that its not the real potential that we are really better and more capable that what we think. There are books and there will be books, this is one of the simpler ones and easy to digest if you ask me. The design of the book and the layout with easy to read format and quotes in special boxes makes it reader friendly and also make it easy to take notes. The author does say that you can take your time reading this book, I think its like you can come to this book anytime later and that serves you well simply because it is a kind of reference material that we can look up to. The best part is the exercises behind each of the topics and I think that works very well like – the things to do and action plan after every chapter is read. 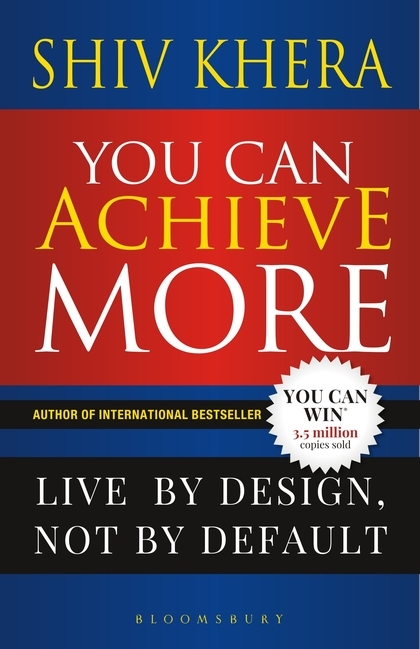 This book is a clarion call by the author to live life by design and not default. You could always keep it simple and real and this book has the ability to make people look within and find their potential and achieve more than they think they can. The book will be a great help for those who doubt themselves and for those who think greatness is thrust upon a few. Thanks Flipkart for the copy. This review is a part of Flipkart Sponsored Book Review Program.